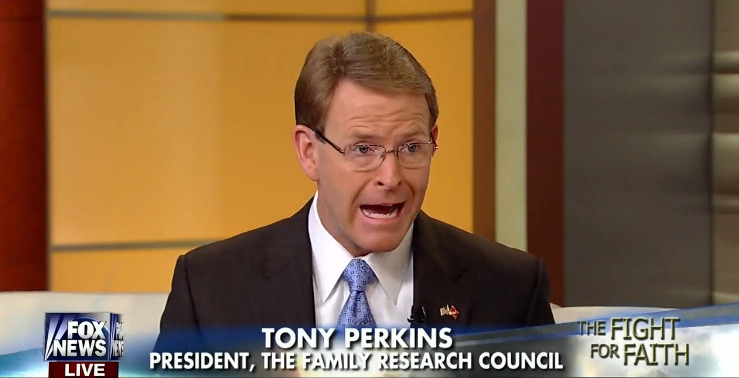 Tony Perkins was the manager of the 1996 U.S. Senate campaign of Republican Woody Jenkins in Louisiana where Impact Media was contracted to make pre-recorded telephone calls for the campaign. In 1999, an unrelated federal investigation uncovered that David Duke had a financial interest in the company, which he did not report to the IRS, resulting in his conviction on federal tax evasion charges. This connection was not known to Mr. Perkins until 1999. Mr. Perkins profoundly opposes the racial views of Mr. Duke and was profoundly grieved to learn that Duke was a party to the company that had done work for the 1996 campaign. We also oppose all efforts to mix the races of mankind, to promote non-white races over the European-American people through so-called “affirmative action” and similar measures, to destroy or denigrate the European-American heritage, including the heritage of the Southern people, and to force the integration of the races. 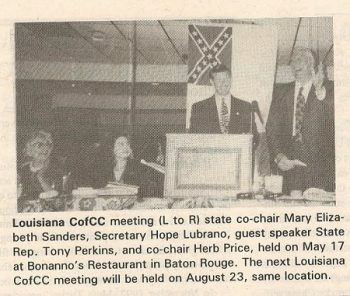 The magazine [The Nation] also reported that Perkins, while a Louisiana state congressman, spoke in 2001 to the white supremacist Council of Conservative Citizens (CCC). Perkins said he was invited by a constituent to speak to the group, and said he wasn’t aware of its history. “Never spoke to them again. That was over a decade ago,” Perkins told The Sun, suggesting the speech happened in 1996, not 2001. 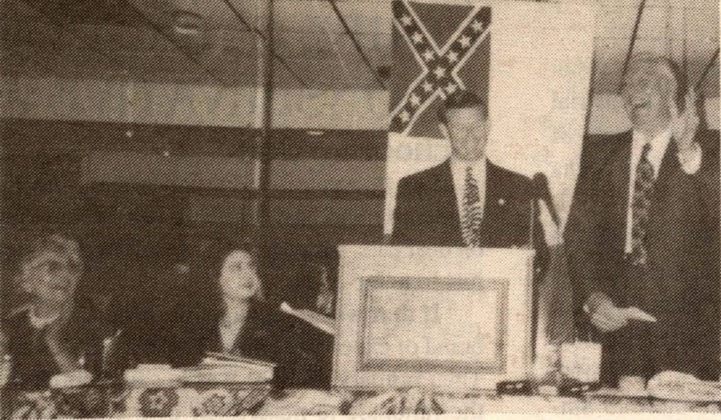 When informed of the item by The Sun, FRC spokesman J.P. Duffy does not dispute the assertion that the event happened in 2001, not 1996, but added that Perkins “cannot remember speaking at the event, as he speaks to hundreds of groups each year.” Duffy added that Perkins opposes racial discrimination and offered the names and phone numbers of two black pastors who support him.